1) Impaired communication between brain and body tissues leads to dysfunction in organs, tissues, and joints. This impairment commonly occurs in the spine, where misalignments in the spine interfere with neurological impulses in the nerves traversing the spine. 2) Impaired organ function creates muscular dysfunction which creates joint dysfunction setting the stage for pain and joint degeneration. It’s not the only cause of joint dysfunction, but is often overlooked and unrecognized in most bodywork systems, like massage, chiropractic, or physical therapy. 3) By identifying and correcting the factors impairing optimal organ function, including infections, muscle and joint function can be restored. 4) By restoring muscle function, spinal decompression using a “Disc Pump” can help to correct painful degenerative disc disorders like bulges or herniation’s. 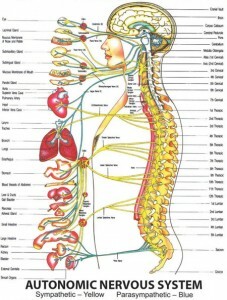 Spinal misalignment’s can irritate nerves and impair the communication from the brain to wherever those nerves lead to. 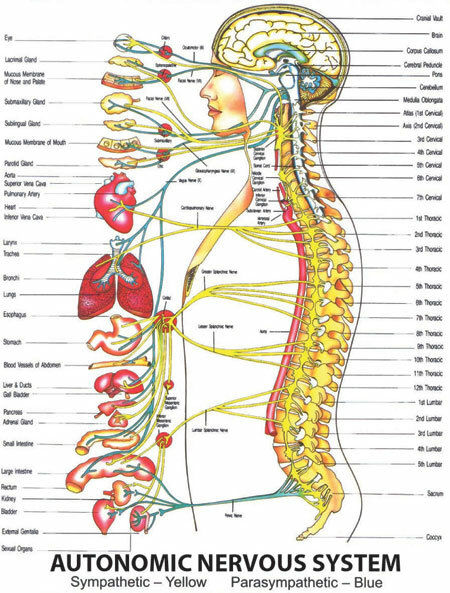 Likewise, the organs and tissues which communicate back to the brain can become compromised in their ability to properly communicate when the spine is misaligned. Much like the misalignment on the wheels of your car can result in improper wear on tires leading to their untimely need for replacement, so too will misalignment’s in the joints of the body result in improper wear on the connective tissue leading to degenerative, painful, and inflammatory conditions. The applied kinesiology (AK) viewpoint on health maintains that there is an organ muscle relationship in the body, and that as an organ is stressed it will manifest as dysfunction in it’s related muscle. This muscular dysfunction is typically a weakness in the muscle. While it is true that lack of exercise can effect the strength of muscles and integrity of a joint, it is also easy to demonstrate how muscle weakness can be caused by things other than lack of exercise, like organ dysfunction. Often times, more traditional chiropractic, massage therapy, physical therapy, yoga, etc are effective in helping to back, neck, and other joint problems. Sometimes they’re not. Sometimes they simply manage the problem without getting to root of why the problem persists. People often wonder how acupuncture can be effective in the treatment of back, neck, or joint pain, and while the theory of “endorphin” release upon insertion of needles may offer some answers, it doesn’t explain why acupuncture and non-needle meridian therapy can be effective in providing lasting results for such pain (2)(3)(4). The AK model, however, does. If an organ is stressed, whether it’s from a food allergen, infection, toxin, mental/emotional stress, etc, there will be some manifestation on that organs meridian (circuit) resulting in muscle imbalance and ultimately joint dysfunction. The dysfunction may occur for a while before there is any pain, just like the misaligned tires on your car may seem to operate fine until they wear down to where the tread has completely worn away. It is this organ muscle relationship that not only allows subtle healing techniques like acupuncture to have a lasting effect on joint pain, but can also confound and frustrate many body workers including chiropractors, massage therapists, and physical therapists who can clearly see structural imbalances and tight muscles, but fail to recognize the subtle holistic interconnection between the musculoskeletal system and the rest of the body. It’s well known that many diseases also commonly have back pain as a co-morbidity in their symptomotology, although conventional medicine does not understand this connection. (5)(6) (7) (8). Again, the AK model of organ dysfunction leading to muscle dysfunction which causes joint dysfunction can explain the mechanism for how this can be. Many chronic joint problems are going to be the result of “leaky gut” which as allowed microbes to migrate into the blood stream and into other tissues, including joints. These low grade infections can trigger autoimmune inflammatory conditions. This however, is reversible as I discuss here(11 ). In 1990, The Journal of Rheumatology put forward a study which indicated that approximately 70% of joint pain had a gut issue at the root of the problem (10). More recently studies have shown that many chronic back pain conditions are infectious in nature, and some doctors are prescribing antibiotics to treat the pain (12). Unfortunately, antibiotics also increase the risk of leaky gut, and all of the problems which come along with that. (13)(14)(15). If you have joint problems, and have been working with a doctor, have they even considered a gut issue being involved? In today’s world of medicine, that’s certainly not very common, and what’s worse is that they most likely have prescribed medications which are toxic to the gut, and liver. Toxins, such as the teflon coating from the frying pans you probably use, has also been strongly linked to osteoarthritis. (16). One of the most common causes of chronic neck and back pain are disc problems, where the intervertebral discs are either bulging, or they’re compressed and worn down from years of degeneration. Many of these problems can be corrected by identifying the muscles and organs which are dysfunctional and in need of support. Once the organs are properly supported then the muscles can do what they’re supposed to do, support joints. Once that step is completed, spinal decompression using a “disc pump” can help to restore the disc to its normal function. The skilled combining of this approach can provide safe, long lasting, solutions to spinal problems that appear to be without answer.